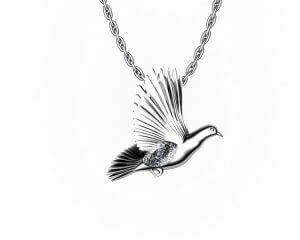 A custom-made pendant makes an ideal surprise gift. Unlike rings, one size fits all, so the customisation part applies purely to the design, and the recipient will be able to wear it straightaway. But what makes the perfect pendant? 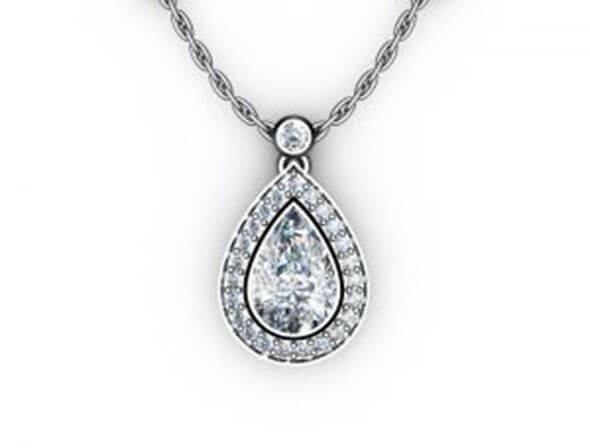 Diamonds, as ever, are popular choices, and we have nice examples of classic single diamond pendants. In reality though, there is so much to choose from when it comes to custom made pendants that almost the only limit is your imagination. Joseph George can custom make you a pendant using sapphire, ruby, topaz, emerald, tanzanite or any jewel or precious metal you could wish for. The metal parts can also be engraved with any name or message. If you have a design in mind, do send us a sketch or a link to a picture, or simply come in to the shop in the Central Business District of Melbourne. As with rings, custom anniversary pendants are growing more popular. A good choice could be a three stone pendant, symbolising your past, present and future together. Or, of course, a pendant symbolising a particular anniversary, where the star is gold, silver, pearl and so on. 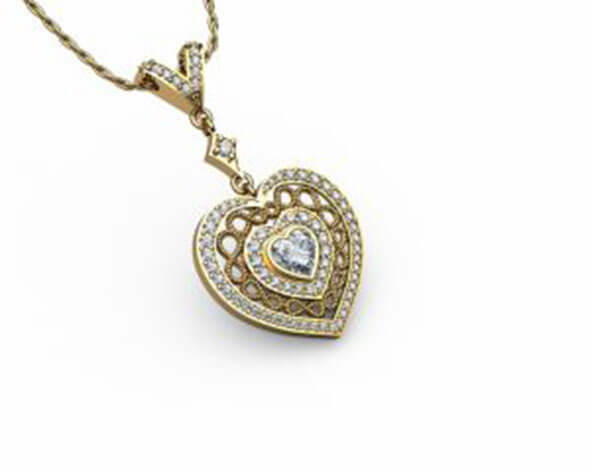 Pendants featuring eternity symbols are also becoming a cherished option. 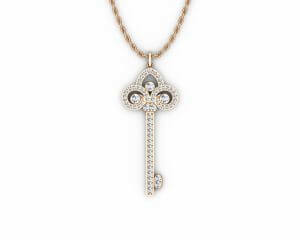 For the chain, we can supply whatever you wish, from a simple sterling silver to platinum, 9k or 18k yellow or white gold. 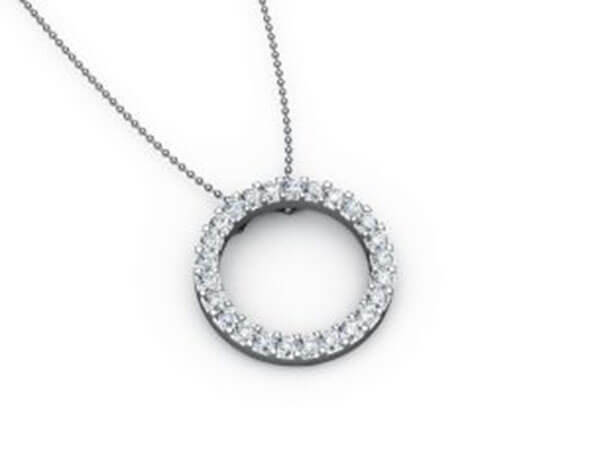 A 45cm chain is the preferred size for most necks, and will ensure that the pendant sits well, but we can also ensure shorter or longer chains if you prefer. 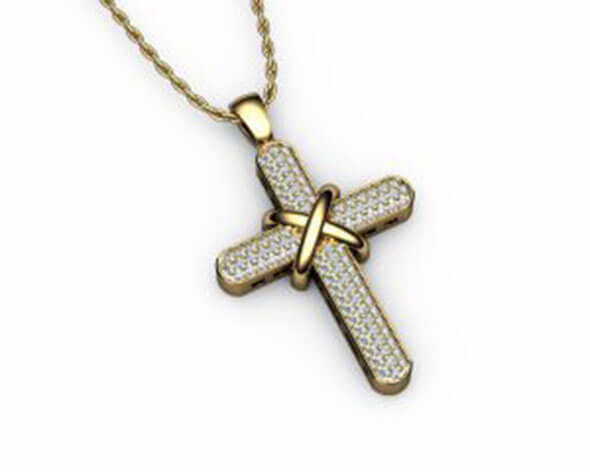 Many people choose pendants to show their faith, by using a Christian Cross, Buddha or Star of David design. An extra custom detail or two can make your faith pendant that much more personal and special, so do talk to Joseph George about the possibilities. All our pendants are custom made to order. If you have something I mind, whether similar to one of our current designs, something you’ve seen online, something similar to what a friend or relative has, or simply something in your mind’s eye, we can make it a reality for you. If you’re not sure and you just want a no obligation chat about what you’re after, that’s fine too.